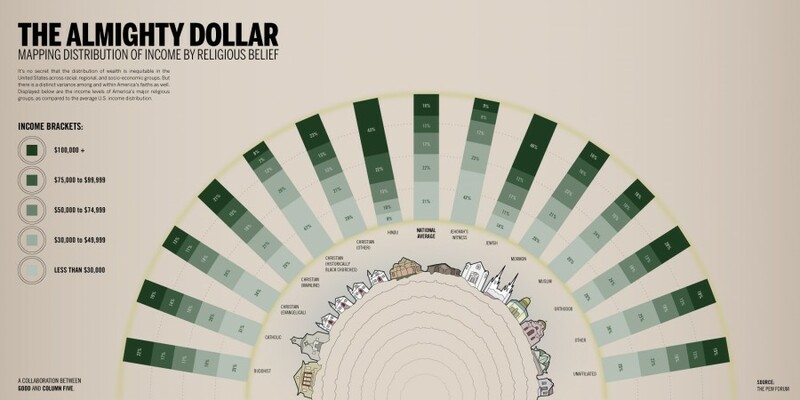 Home » Ex-Patriots » Income by Religion: Where do Hindus Stand? Income by Religion: Where do Hindus Stand? At the top. 43% of the Hindus make more than 100,000+. Check it out for yourself (Source: Good.is). No surprises there for me. It will be thesame case in other first world countries UK,Australia,Germany ….. But if you take a world wide average , I guess Jews will win by a mile.